T housands in our state trust nursing homes and their staffs to care for elderly relatives. Few Florida families even think about misconduct in nursing homes. Reporting nursing home misconduct to local or state authorities doesn’t always result in a quick response or an effective solution. 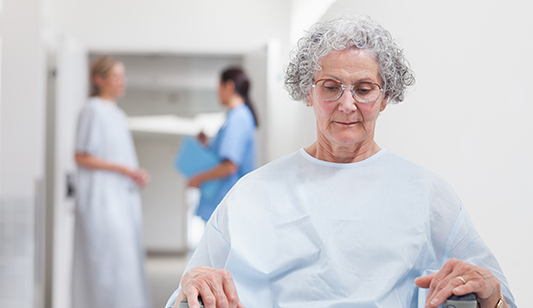 When a nursing home or its staff has acted negligently towards nursing residents – and you can prove it – the owners and staff can be held accountable for damages resulting from that negligence. If your loved one is a subject of nursing abuse or nursing neglect, and you file a lawsuit, your family may be awarded compensation for all negligence-related medical expenses, for pain and suffering, and in Florida you may also be awarded punitive damages aimed at deterring abuse in the future. If you suspect that an elderly relative is suffering nursing home abuse in Orlando or anywhere else in central Florida, contact the Horst Law Firm and speak immediately with experienced Orlando nursing home abuse lawyer Robert J. Horst. Physical abuse: this can include intentional abuse, such as hitting or kicking a nursing home resident, or neglect that leads to physical injuries such as bedsores or dehydration. Sexual abuse: if a patient is sexually harassed or forced to engage in a sexual act against his or her will, this is considered sexual abuse. Psychological abuse: this is a form of emotional or mental abuse, and can occur when someone yells, insults, humiliates, or threatens the safety of a nursing home resident. Financial abuse: if a nursing home staff member begins to take advantage of a resident and gain access to his finances, this is considered financial abuse. Neglect: this often occurs when a nursing home is understaffed, but it could occur when staff members act carelessly or negligently. With neglect, residents are not given the attention they deserve, so they could be deprived of food, water, or medications. Resident on resident abuse: if the nursing home employees allow residents to abuse other residents, this is referred to as resident on resident abuse. If you believe your loved one is a victim of any of these types of abuse, it’s strongly recommended you contact an attorney as soon as possible. Your loved one’s health and safety is at risk–don’t delay in seeking legal representation. If you have loved ones in nursing homes or assisted living facilities, it’s important to look for signs of nursing abuse or neglect every time you see him or her. If you find signs of abuse, protect your loved one’s health and safety by contacting one of the top Orange County lawyers. Robert J. Horst has years of experience handling serious claims of abuse, and he will fight on behalf of your family to determine liability and recover compensation. Contact The Horst Law Firm today to learn what legal services we can provide for your case. When reporting elder abuse, don’t neglect to consult with a personal injury attorney. Fighting elder abuse and neglect in nursing homes is a priority at the Horst Law Firm. When you need an experienced Orlando personal injury attorney to help you fight neglect, abuse, and the mistreatment of an elderly loved one, you’ll also want a lawyer who can offer trustworthy legal advice tailored to your specific problems and goals. Attorney Robert J. Horst represents victims in personal injury cases involving nursing home abuse, premises liability, product liability, dog bites, truck accidents, brain injuries, construction accidents, car accidents, bicycle accidents, boating accidents, motorcycle accidents, and slip and fall accidents in the Orlando area, Kissimmee, St. Cloud, and throughout central Florida. Please contact experienced Robert J. Horst by phone at (407) 601-3999, or complete the online intake form here on our website to schedule a free consultation. If your elderly loved one has been injured by another person’s negligence at a nursing home facility in the greater Orlando area, don’t wait to call our offices to begin the process of filing a nursing home abuse claim.